Have been tracking this buck for two years. 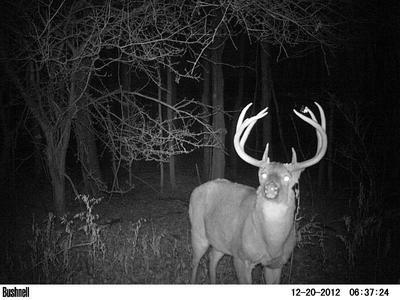 Have three of his sheds and have many game camera images of him. Last image I have of him was 08/13/13. Image shown is last December before he shed.